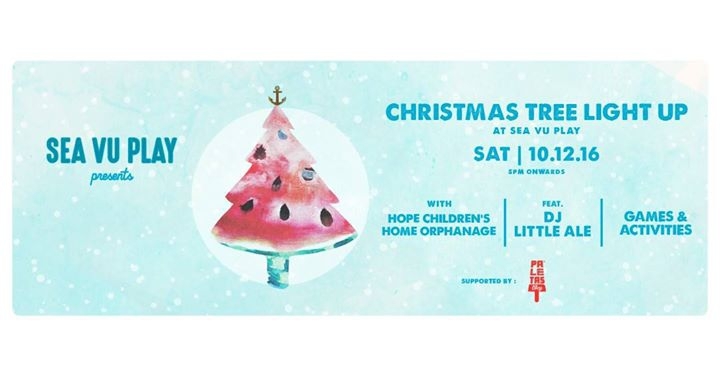 On Saturday 10th Decembr Sea Vu Play will be lighting up our Christmas Tree with the help of a few special friends. The Hope Children's Home Orphanage will be joining for the tree light up and carol singing. Bring the family as Santa Claus will be making an appearance at the photobooth! feat. special guest little DJ Ale.